Please forgive my overuse of !!!!!!!!!!!!!!! !s, CAPS LOCK and ……… as my passion, enthusiasm and overwhelming excitement CAN NOT be contained. On Sunday, June 12, 2011 history was made. History to those who live in Dallas, (or elsewhere) who support a team that has heart, class and determination. A team that has been mocked, called ‘no talent’, and basically was never given any credit. 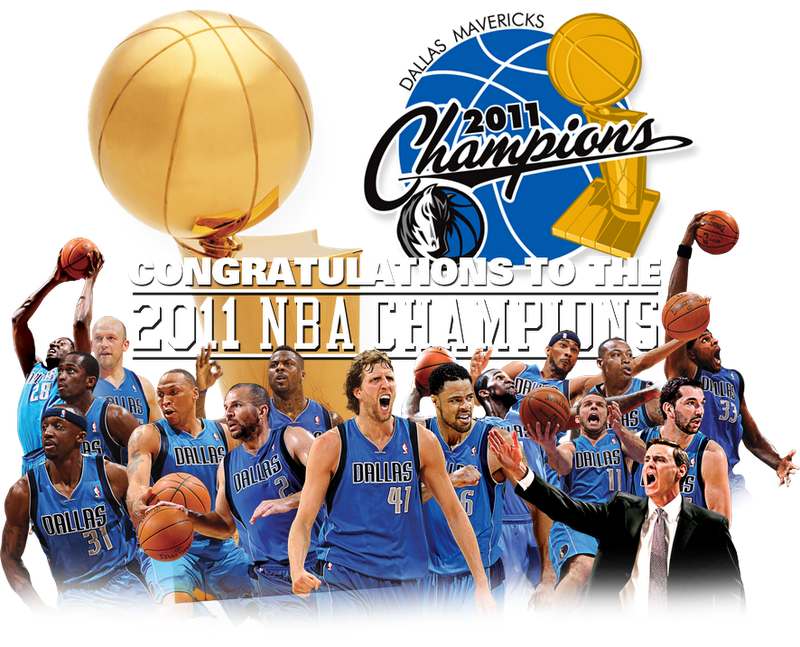 THE DALLAS MAVERICKS HAVE WON THEIR 1ST NBA CHAMPIONSHIP TITLE!! It’s the first in team history… 31 years to be exact. I don’t think I have the words to express how much this actually means to me, to other fans, to the team and to the City of Dallas. This was a team that at one point, HAD THE WORST record in the NBA… and now They’re the CHAMPIONS! This is a team that relies on each other and not just one man. They have said time and time again that they win because they play as a team. They respect each other and you can clearly see that as they play. You may wonder why I am so passionate about my beloved MAVS. Well, I wasn’t always a fan. It all started back in the day… 1996. 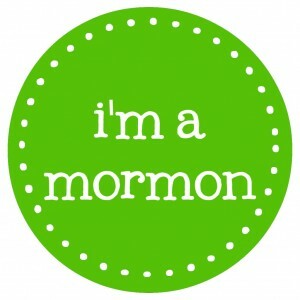 I was living in Salt Lake City with my sister and (now ex-) husband. They were expecting their first child and I had moved in to help out. There were nights were we (my sister and I) would have to watch basketball because 1) nothing else was on, 2) the BIL wanted to watch or 3) we lost some kind of bet and had to watch. It was at this time that I learned a little bit about the game. Then one day a co-worker of mine had invited a few of us to go watch the Utah Jazz during the playoffs. She wanted to go to the watch party so, I accepted. I loved the atmosphere and the feeling of community spirit during that time. So, we went to the next one, and the next. Basketball had helped me form a friendship with a co-worker and would later help me develop more friendships with other people. Then in 2002, my brother and I decided to buy a house together. As basketball season started to begin, this girl would always come over to our house. (I was still going for my team -Utah at the time- but later became loyal to my Hometown team.) I hadn’t really met her but she was from church. Her dad was a basketball coach so, she had mad skills and knew her stuff. Eventually we got to know each other a little better. So much so that she then became my friend rather than my brother’s friend. By the time I knew it, we were BEST FRIENDS…. and still are. Being a Mavs fan not only gave me a best friend, it gave me more friends…. and another best friend who would end up being my Maid-of-honor. I have been lucky enough to attend several games to root for my team. I was also in attendance at Love Field airport after their 1st Western Conference win. My friend Joni and I called each other, made a game plan, made a sign and drove to meet the team. We (along with hundreds of fans) cheered on our team at 2am. Silly? Yes. of course but we didn’t care. That was an important moment and we were going to support them 100%. Now, 5 years later, I’m still cheering them on… from 5,000 miles and 8 time zones away. I wear my Mavs cap when I walk to the park along with a Mavs shirt. I wore my Mavs Jersey when I was pregnant. I also wore it to school when we were learning about Sports and Leisure. Even Valentina has her own Mavs gear. I’ve made many friends through the Mavs but more importantly I have so many wonderful memories with those friends because of the Mavs. So, on Monday morning, I woke up knowing that I wanted to switch on my iPod to see if they won. I tried to resist. I wanted to watch the game and see it for myself but I couldn’t. I couldn’t wait anymore. As I saw the score on my ESPN Score Center app, I wanted to scream. (but I couldn’t… Valentina was still sleeping) I went on to FB and saw the comments, messages and posts that people were posting. My heart was beating fast. I went to YouTube and started searching for anything I could find. I found the Trophy ceremony and I just cried. I as so overcome with emotion for my team. I was just so happy for them, so happy for Dallas and so happy for all of the fans who have waited for the world to see what we already knew. That our team was THE BEST!!!!!! Our team could beat the ‘favorite’!!!!! Our team WAS worthy of that title and trophy!!!!! Poor Valentina didn’t know what was going on. I was laughing, screamin, cryin, hollerin’… I was so excited I had to call Carlo at work to tell him. I’m still on an emotional high. I can’t stop looking at photos and videos and I can’t wait to visit the AAC and have our picture taken in front of the GIGANTIC banner that says…. 2011 NBA CHAMPS!!! Your fans in Torino, Italy are MFFL!!!! MFFL= Mavs Fans For Life! You are the BEST FRIEND a girl could ask for!!! I love OUE MAVS!!! Almost 10 years later, here we are! **OUR MAVS!! ** Chayse distracted me and I didn't notice the error until now. Note: I did have mad skills and know my stuff. 😉 Thanks for reminding me! !